Identifying and avoiding foods that are prone to high levels of mycotoxins can be especially health-promoting for mold sensitive people. When we were ill from mold and mycotoxin exposures after Hurricane Katrina, we were unable to eat most foods. We became painfully aware of just how many foods contained traces or even significant amounts of mold and mycotoxins as we had to restrict our diet more and more each day in order to try to survive. 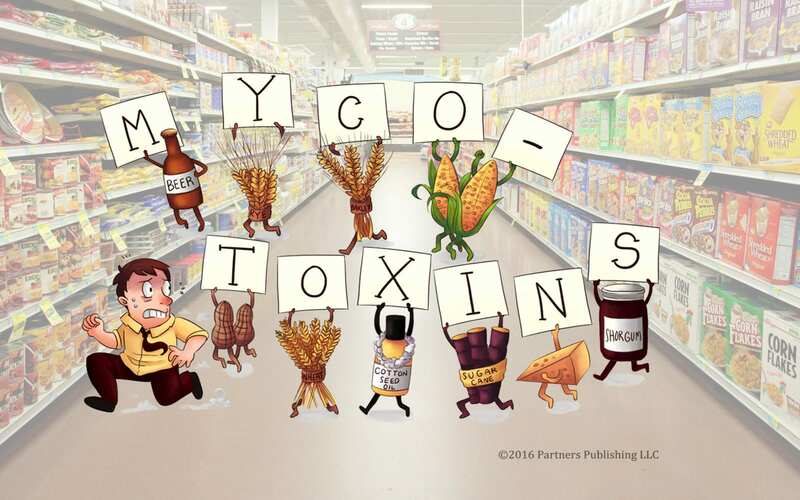 Then we came across a list of top ten mycotoxin-containing foods compiled by David A. Holland, MD and Doug Kaufmann that helped us zero in on some of the most problematic mycotoxin-containing foods. During our recovery, we avoided these mycotoxic foods and started making lists of other foods we found particularly problematic for us. They were found to also contain high levels of mycotoxins. Altering our diet to avoid mycotoxin-laden foods was a relatively easy and inexpensive change for us to implement. All it took was a little bit of self-discipline and changing our mindset about what constituted “healthy” food. Whole foods that would normally be deemed healthy or even a health food, became banned from our diet. People who have been exposed to toxic mold can become “sensitized” in such a way that they react to a variety of different agents in their food and environment, as if they are allergic to them. It may take only a very minute exposure to trigger a major recurrence of symptoms. So you must take steps to make your environment as mold-free as humanly possible—so that you’re not breathing fungi or eating fungi. There are several types of food that should be avoided if you are mold-sensitive because they are subject to mold contamination. In their book, the Billings include a list of the top-ten mycotoxic foods, compiled by David A. Holland, MD and Doug Kaufmann, which I’m including for you below. As you can see, many of those top-ten foods are grains. Regarding peanuts, a 1993 study reportedly identified 24 different types of fungi just on the outside of the peanuts in their sample—and these peanuts had already been sterilized. One of the mycotoxins frequently found on peanuts is aflatoxin, which is a known human carcinogen. In terms of hard cheeses, cheeses like Gouda are made with yogurt-type cultures such as lactobacillus, rather than fungi, so these are a better alternative. You may want to do some vegetable juicing to accelerate your healing. Juicing helps alkalize your body, and for the most part, fungi can’t grow in an alkaline environment. Juices assimilate very quickly into your system with very little effort or energy by your digestive tract—like an intravenous infusion of whole food nutrition! Juices should be consumed immediately after being juiced (within 15 minutes is best) as the enzymes degrade rapidly thereafter. Much of our health is determined by what we put in our mouths but figuring out which foods are health supporting for a mold sensitive person is not that easy when many whole foods can be loaded with mycotoxins. For additional ways in which we navigated this façade of healthy foods, check Section II in our book, MOLD: The War Within.